Abstract—Let Λi=kQ/Ii be system quiver algebras of maximal tame representation types. In this paper, based on the minimal projective bimodule resolutions, we calculate explicitly the dimensions of all Hochschild homology groups of the system quiver of maximal tame representation types. Index Terms—System quiver algebra, aximal tame representation type, minimal projective bimodule resolution, hochschild cohomology group. The authors are with College of Mathematics and Physics, Huanggang Normal University, Huanggang 438000, China (email: 59103008@qq.com). 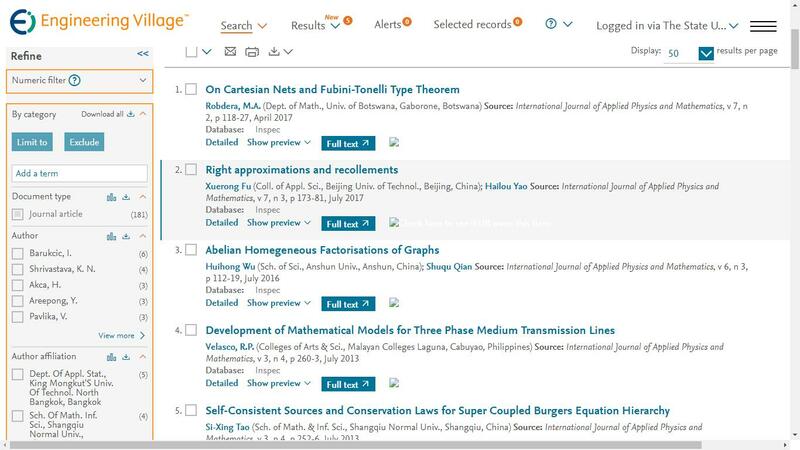 Cite: Chunling He, Huiru Chen, Zhibing Liu, "Hochschild Homology Groups of System Quiver Algebras of Maximal Tame Type," International Journal of Applied Physics and Mathematics vol. 7, no. 4, pp. 259-267, 2017.